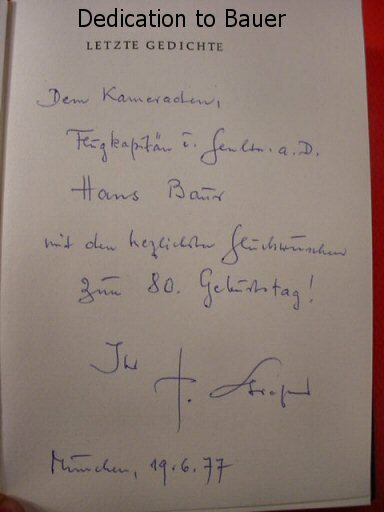 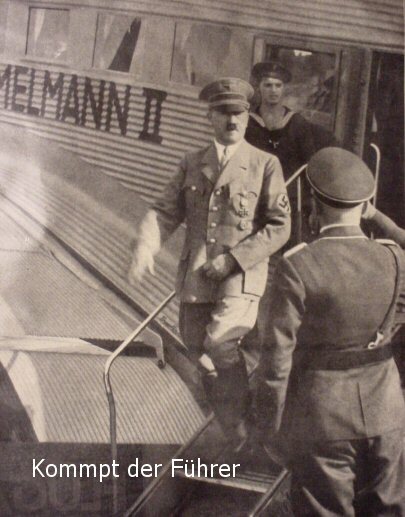 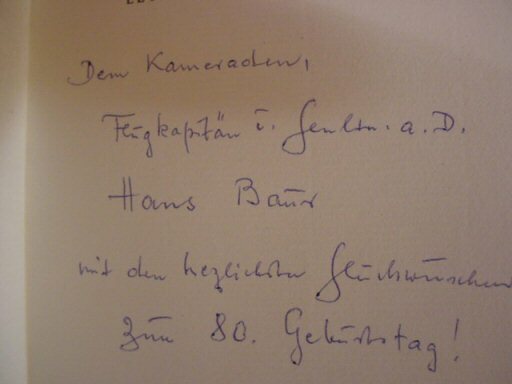 DESCRIPTION: This is a book presented in Munich to General of the Luftwaffe and Hitler’s personal pilot, Hans Bauer, on his 80th birthday in 1977. 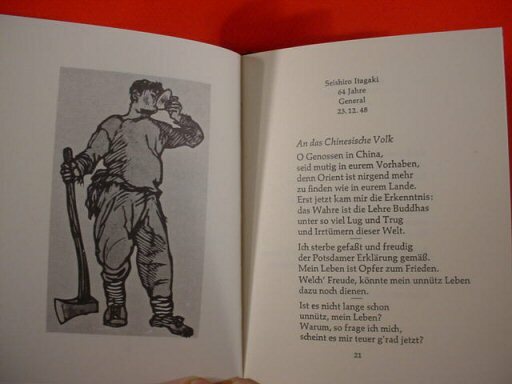 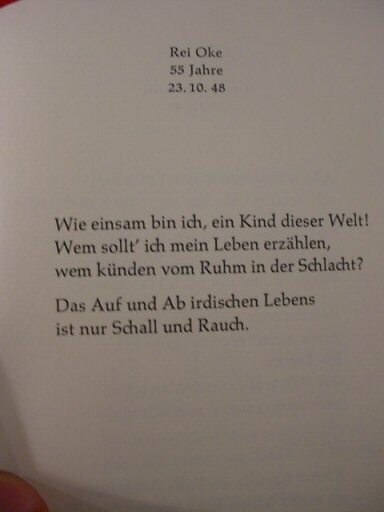 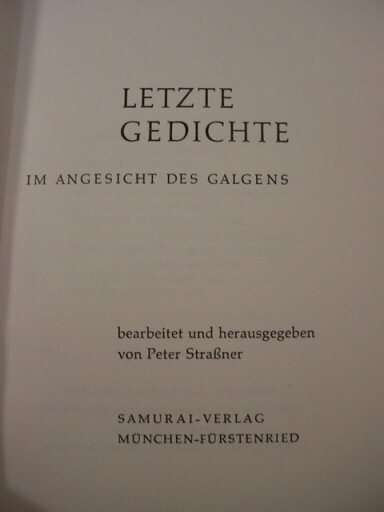 It translates to: “Last Poems; in the Face of the Gallows. 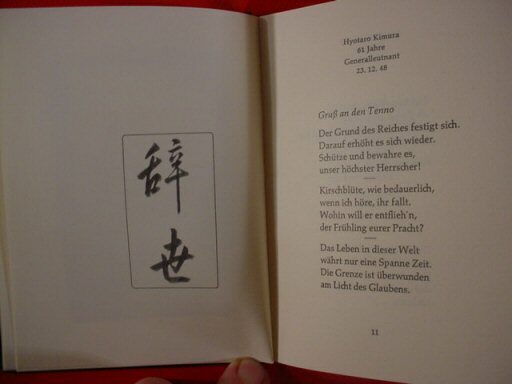 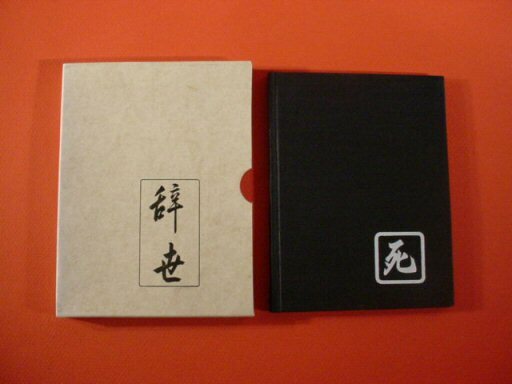 It is a 40-page booklet of poems and letters from Japanese officers and statesmen who were condemned to death by hanging in the 1940s after the war-crimes trials. 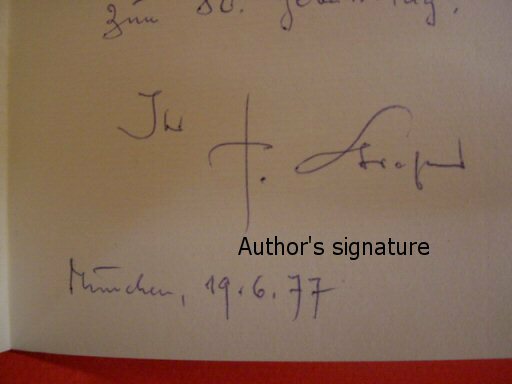 It’s signed by the author. 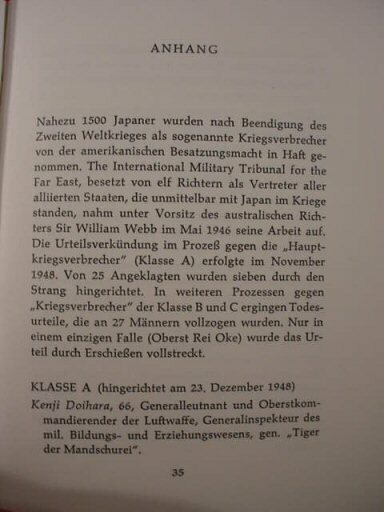 The Japanese is translated to German. 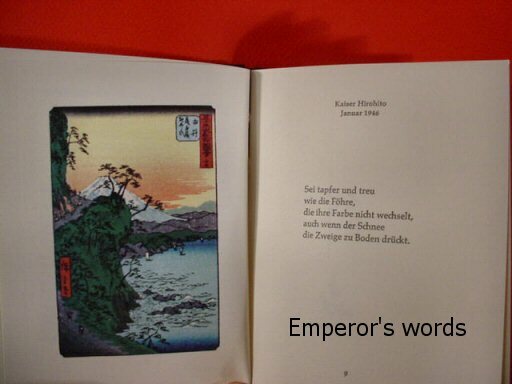 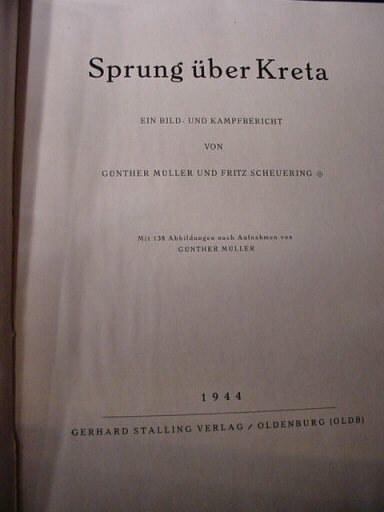 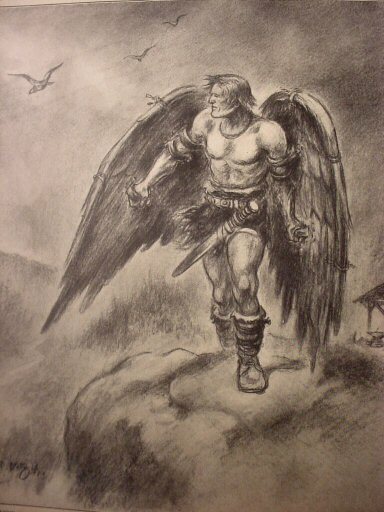 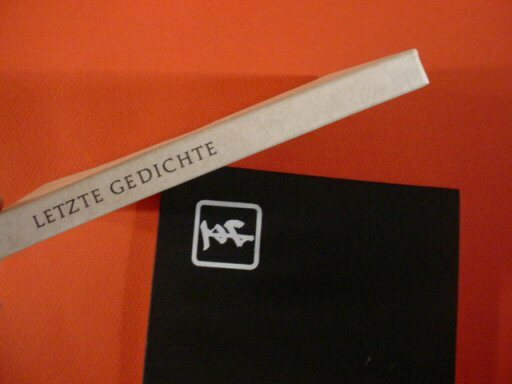 It was published in 1965 by the Samurai Verlag in Munich. 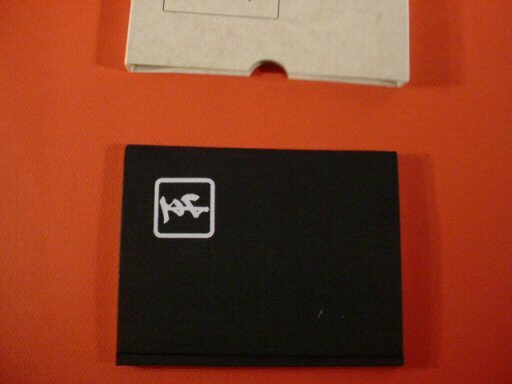 It comes with a slip-in sleeve protector, so it is in immaculate condition and is positively rare. 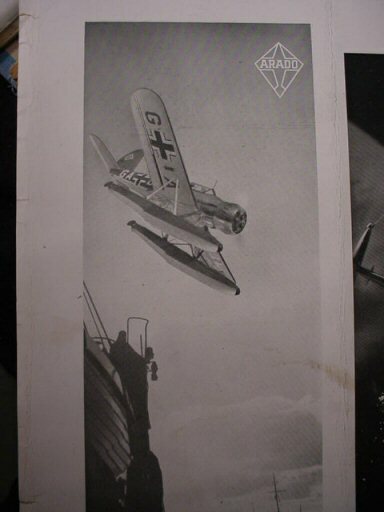 DESCRIPTION: This is a magnificent soft-cover magazine-style book completely devoted to flight; the early history of aviation right up to the brink of WW II. 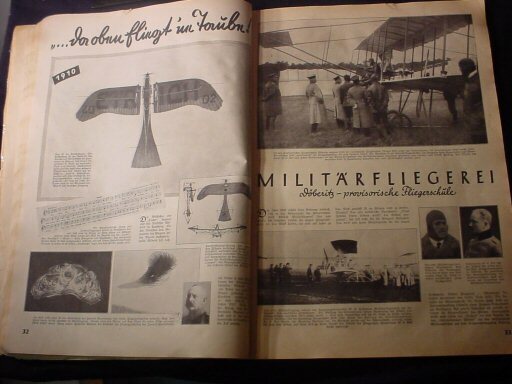 It comprises 184 pages of mostly pictures. 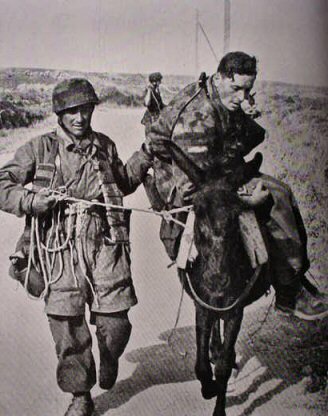 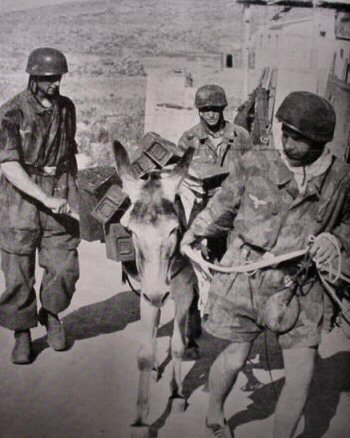 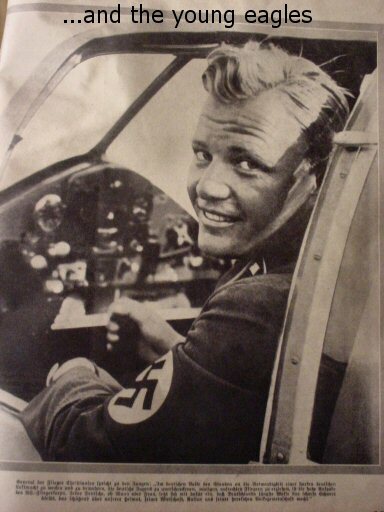 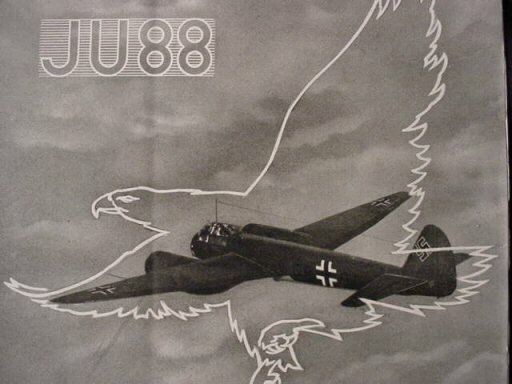 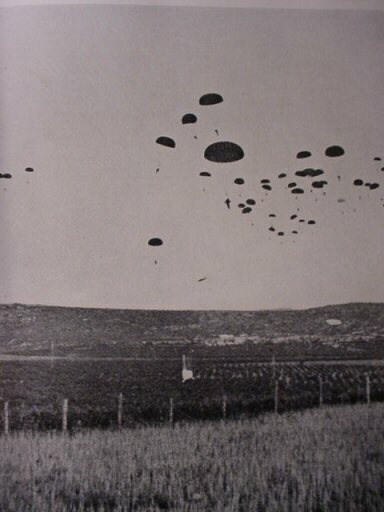 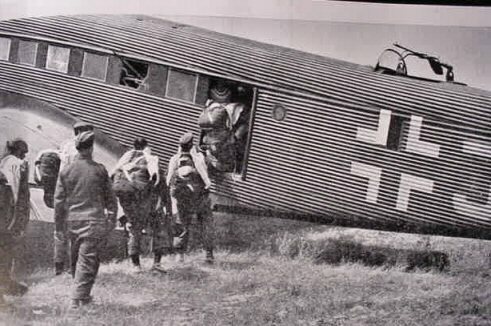 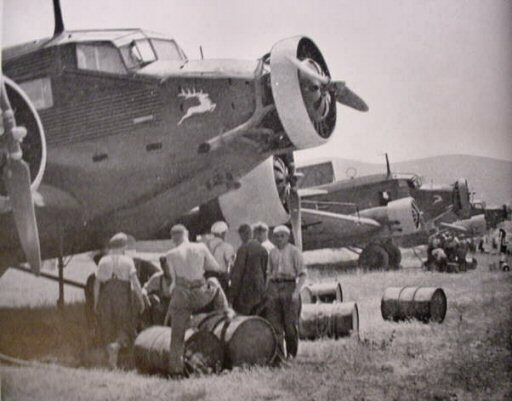 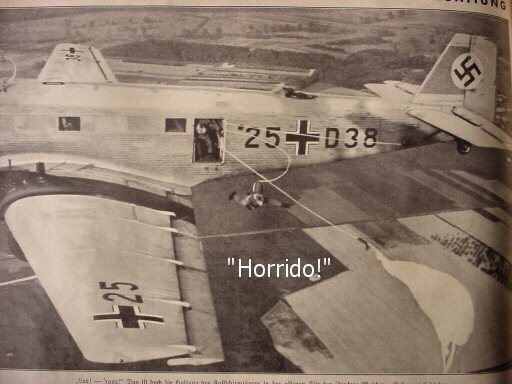 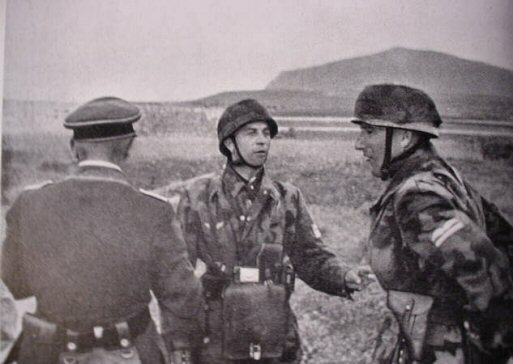 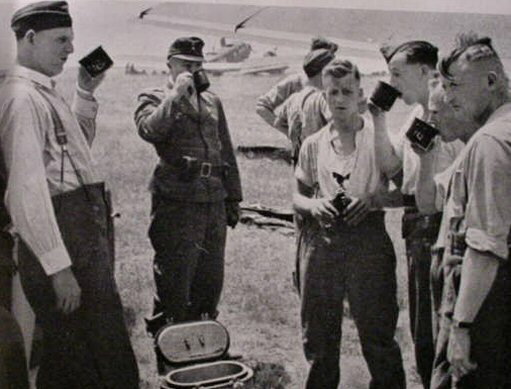 There are hundreds of pictures: from the legendary flight of Icarus to the Ju-87. 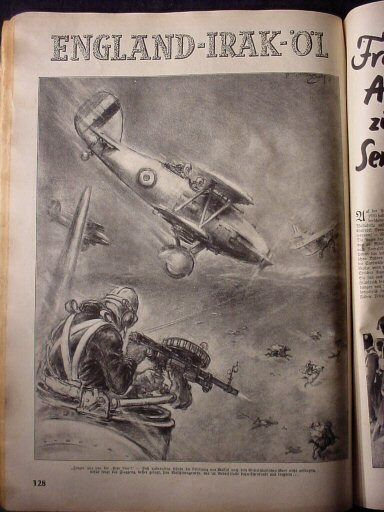 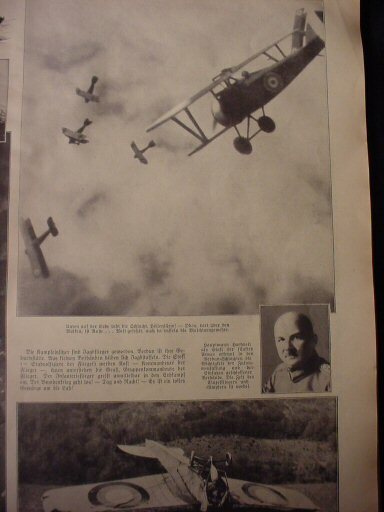 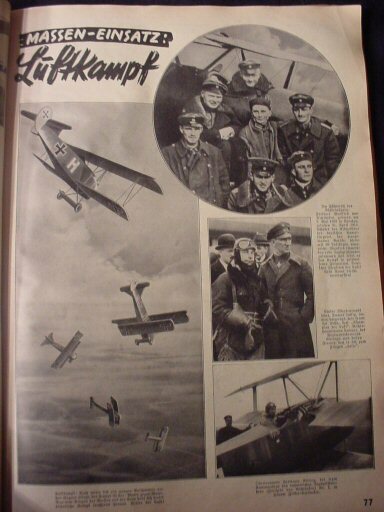 This has to be the most complete story of airplanes and airmen ever produced in a single pictorial volume. 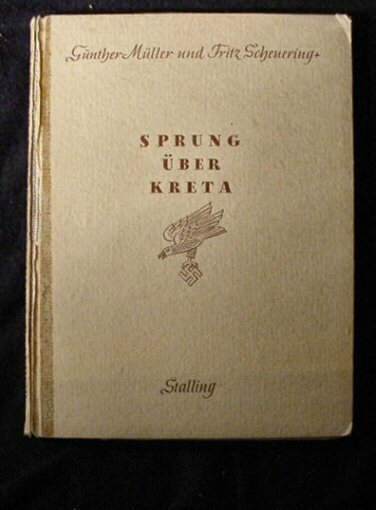 This is a huge book measuring 10 1/4 x 14 inches. 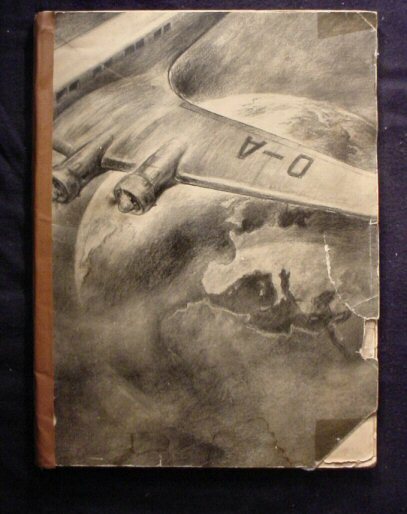 The cover is repaired with the usual taped method and is distressed a bit, but the inside pages are intact. 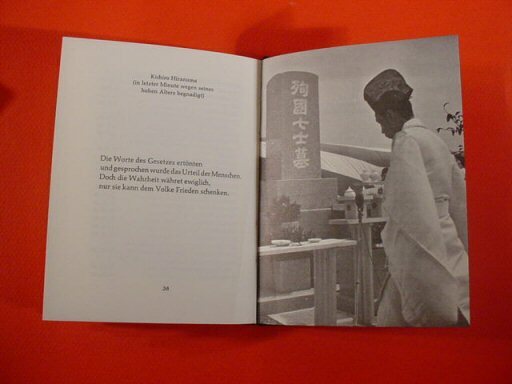 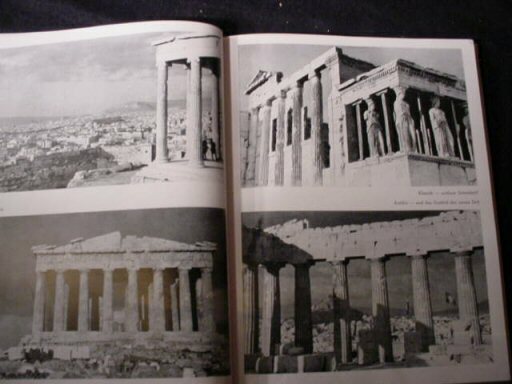 The photos and illustrations are magnificent. 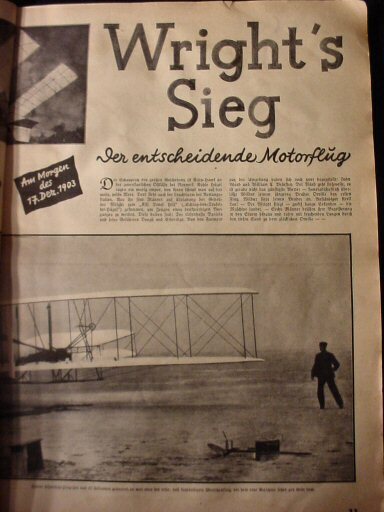 The coverage of early experimental flight is vastly interesting. 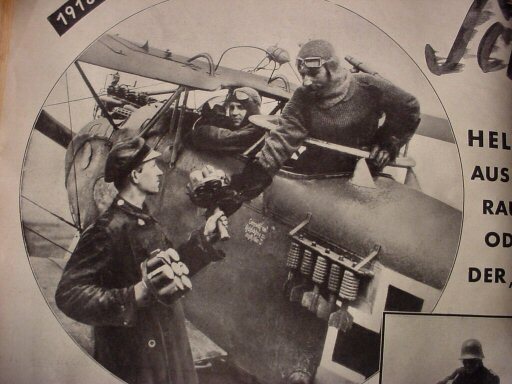 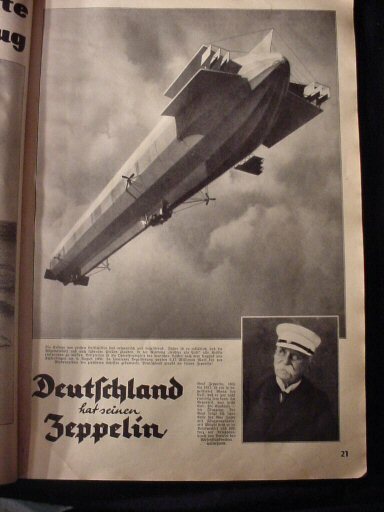 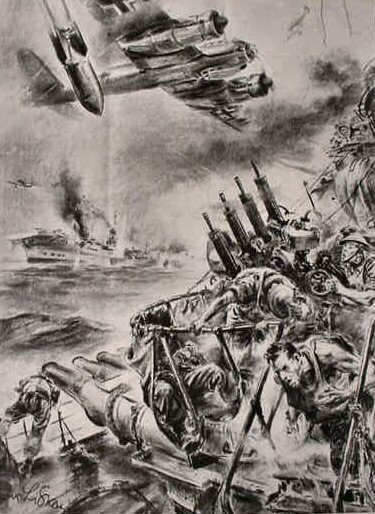 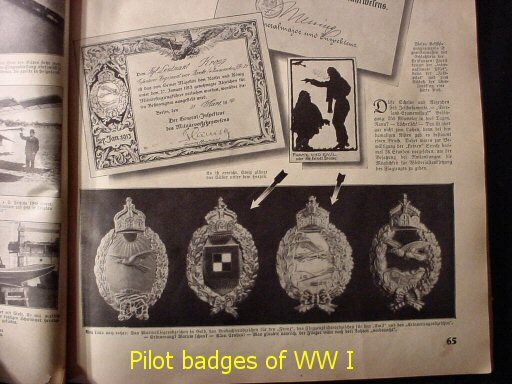 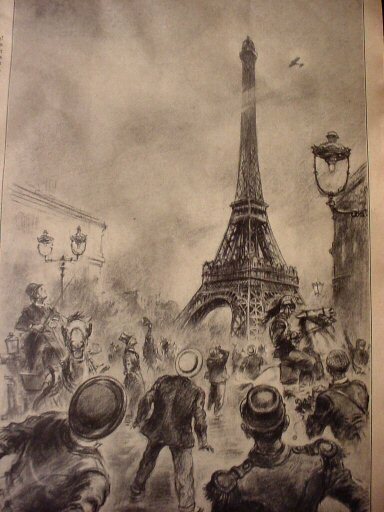 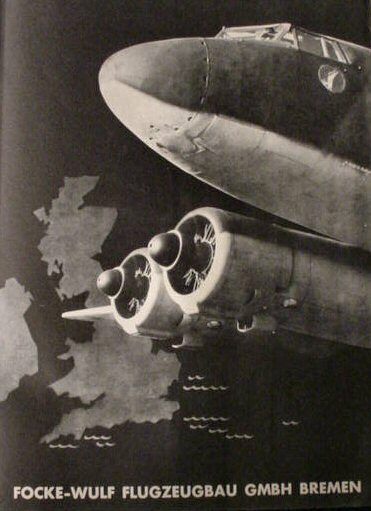 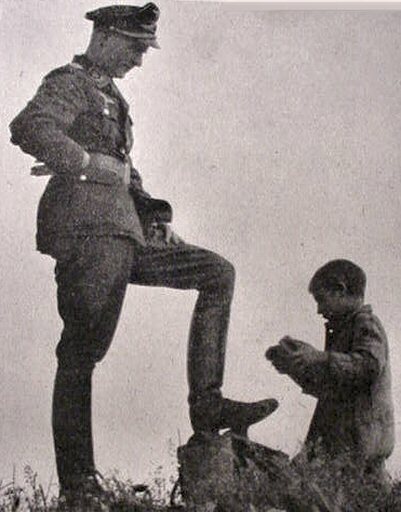 There are aircraft, zeppelins, war flyers, parachutists, seaplanes, Pour le Mérite flyers, and bombing missions. 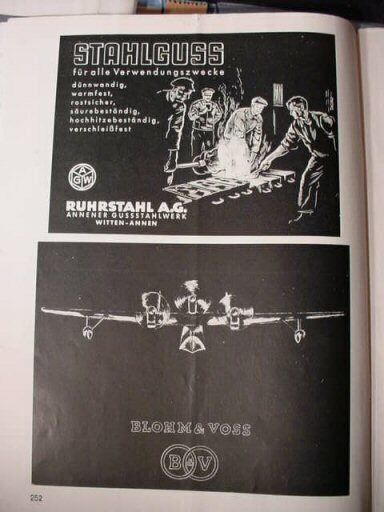 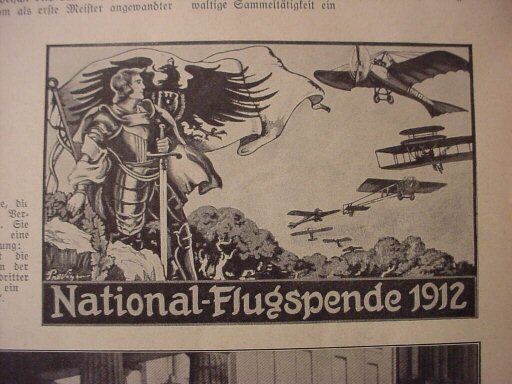 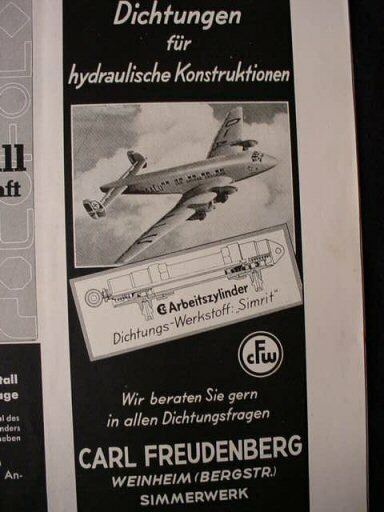 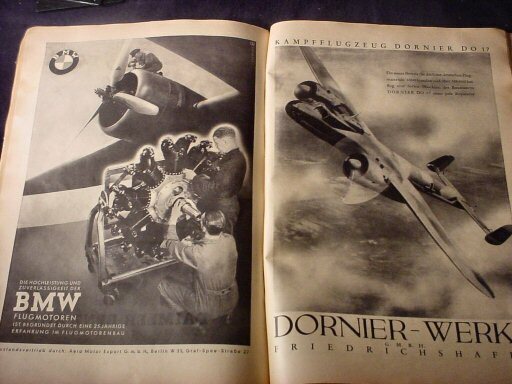 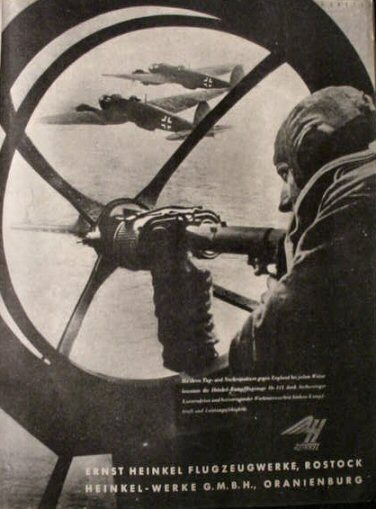 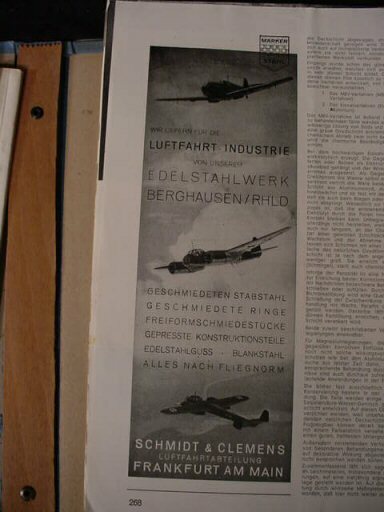 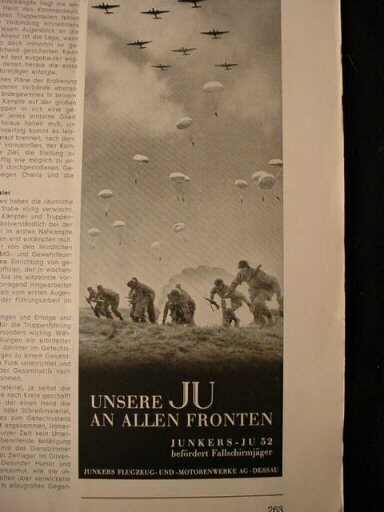 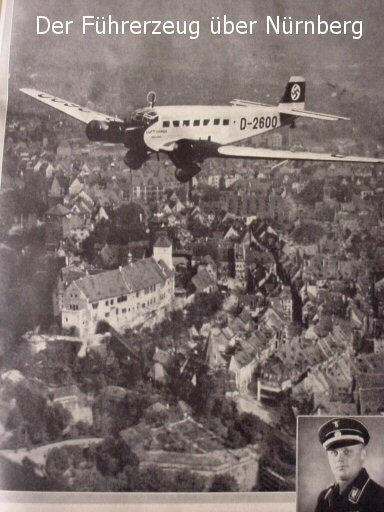 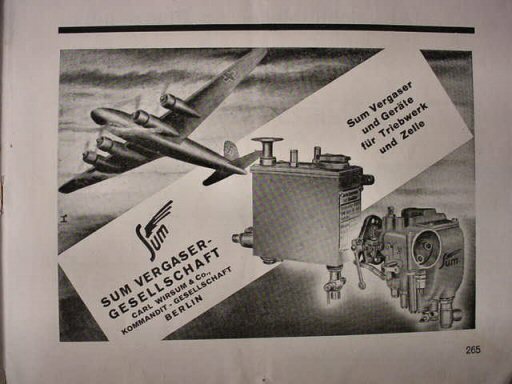 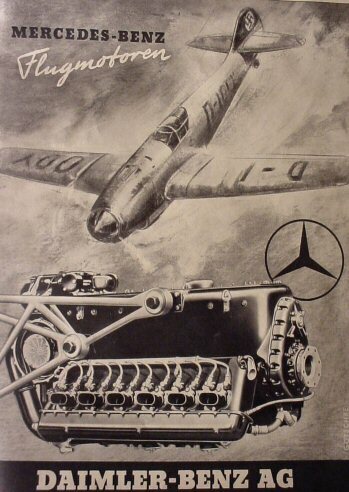 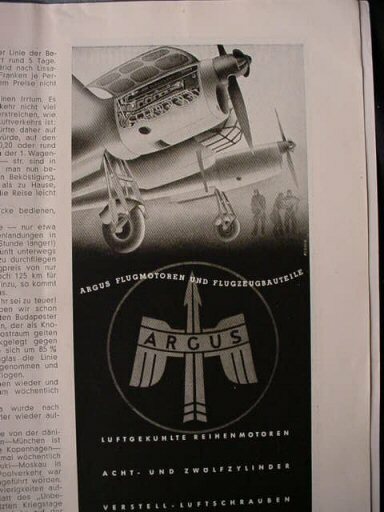 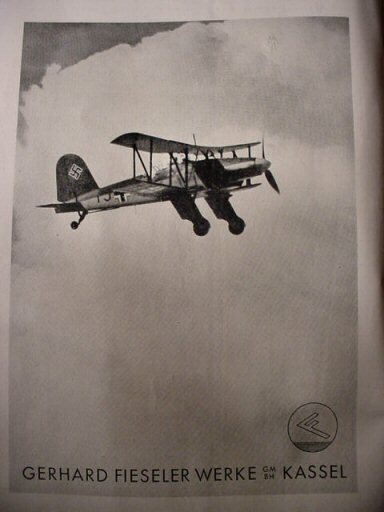 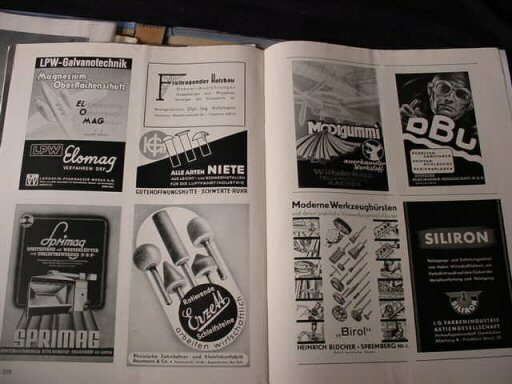 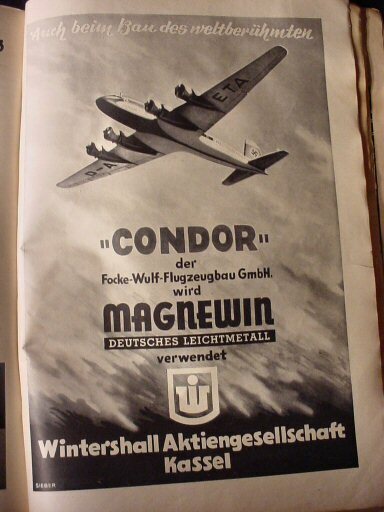 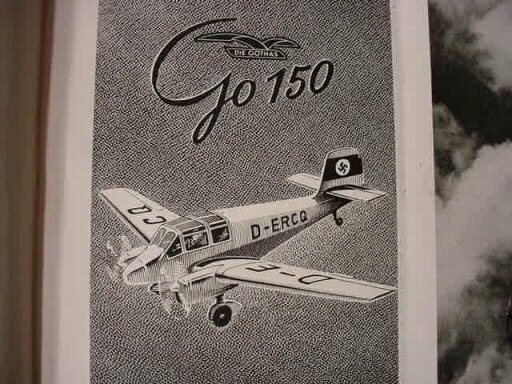 Many advertisements for the various companies that made aircraft are particularly interesting: BMW, Dornier, Daimler-Benz, Junkers, Focke-Wulf, and Arado. 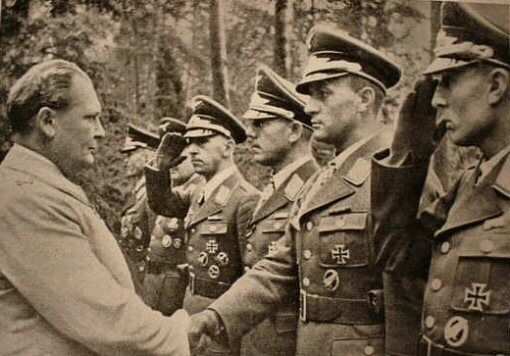 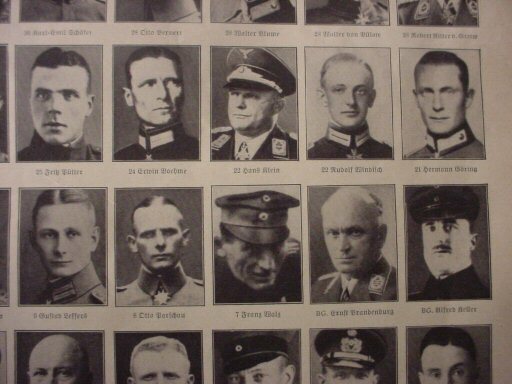 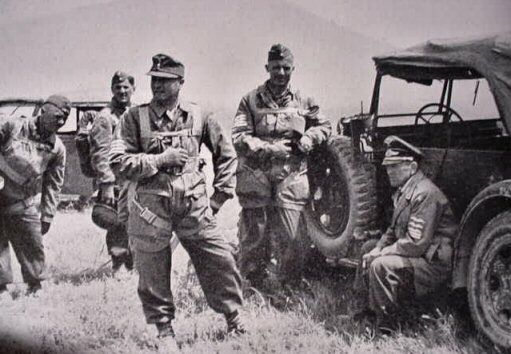 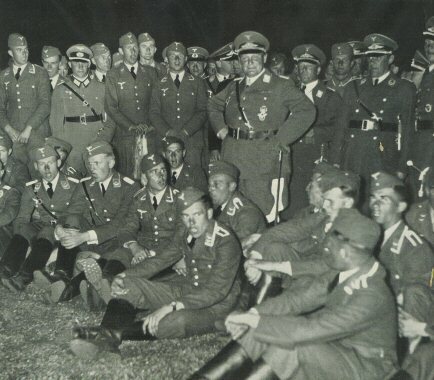 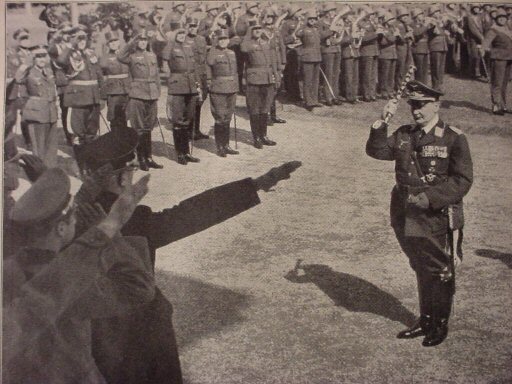 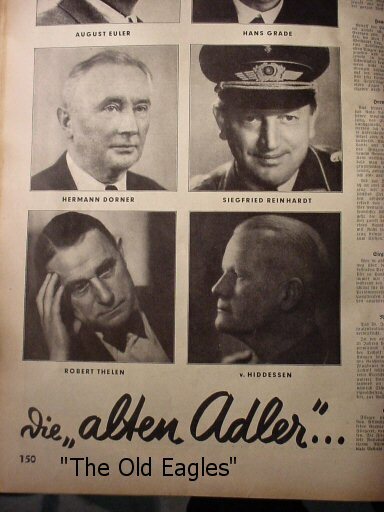 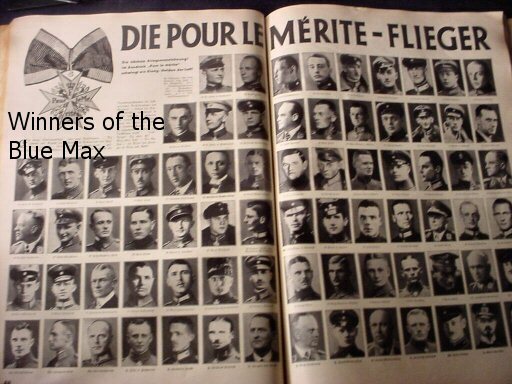 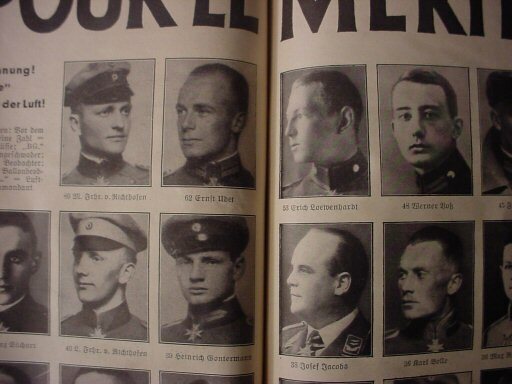 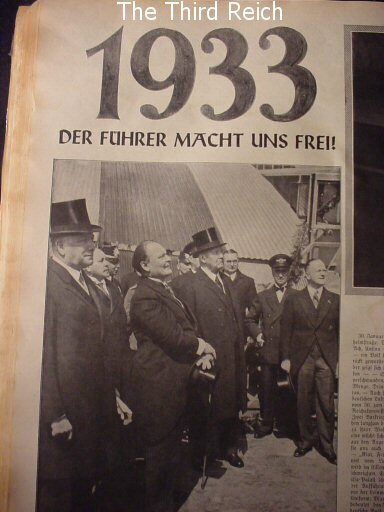 There are all the familiar 1930s faces: Göring, Hitler, Hans Bauer Christiansen, Willi Messerschmitt, Carl Dornier, and in earlier times, Richtoffen, Udet, Loezer, Boelcke, Ritter von Schlech, etc. 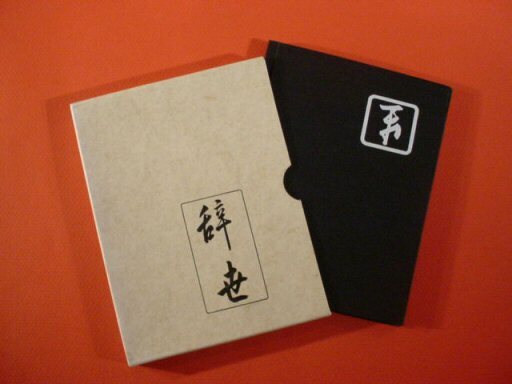 This is one amazing book just bursting at the seams with great information. 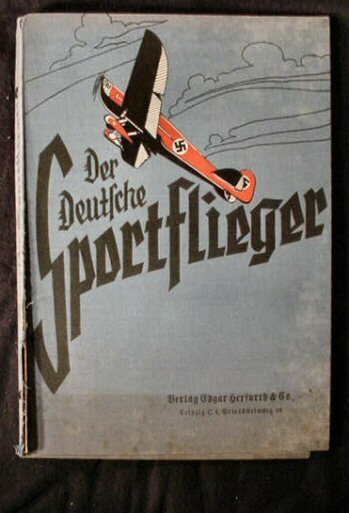 It has no match in the other books on flight. 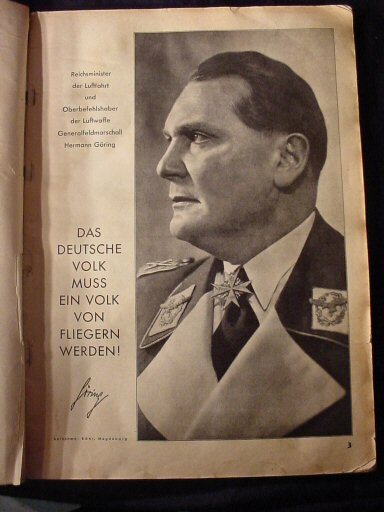 Hermann Göring summed it all up when he said: "Das deutsche Volk muss ein Volk von fliegen werden,"“The German people must be a flying people." 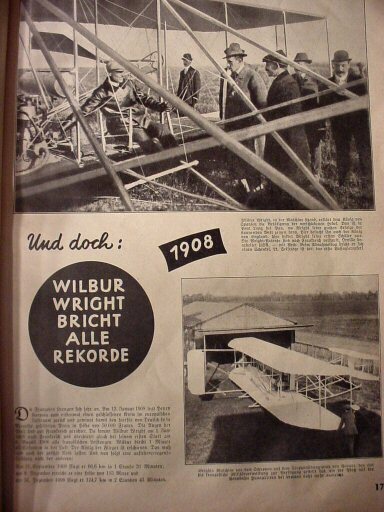 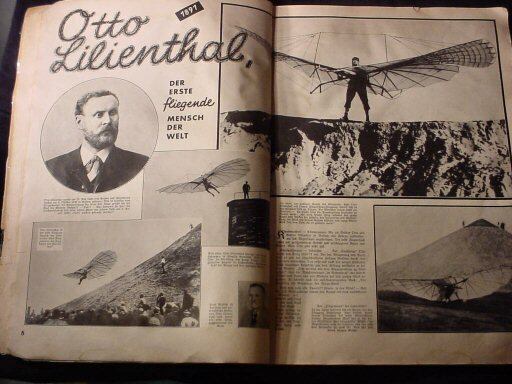 Even today these German people excel in the art of flight. 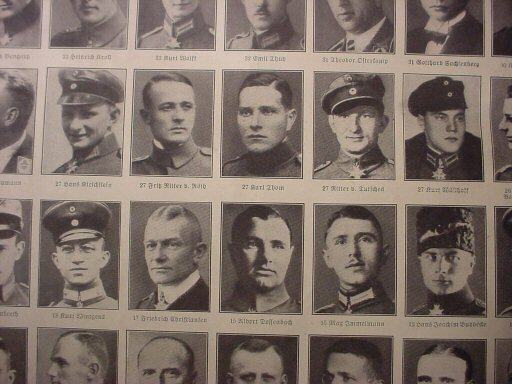 DESCRIPTION: Here is a grouping that we recently found in Germany. 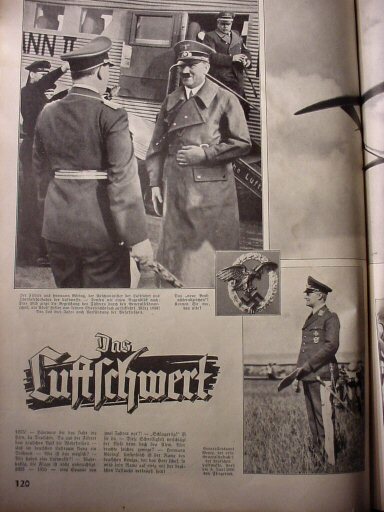 It evidently was a few magazines kept in the blue folder. 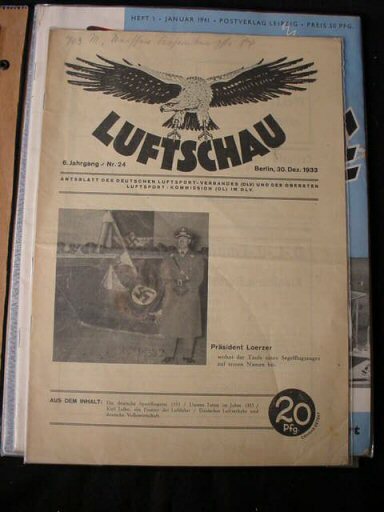 This was a hard cover for gathering together various issues of one’s favorite magazines in a binder. 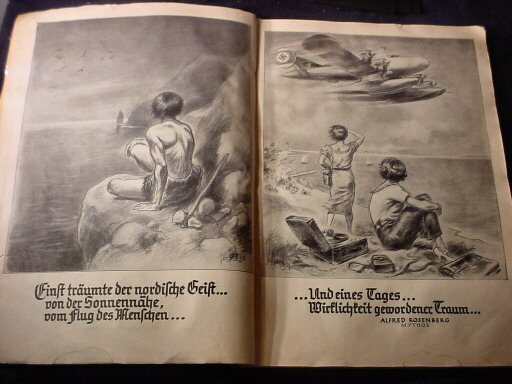 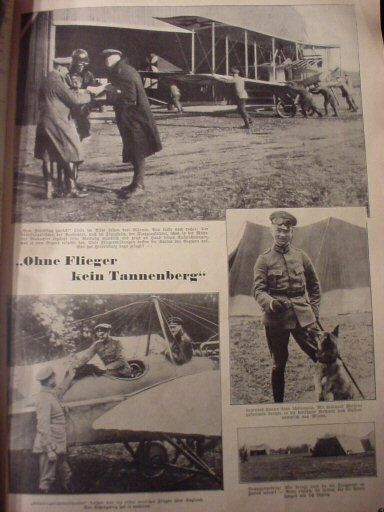 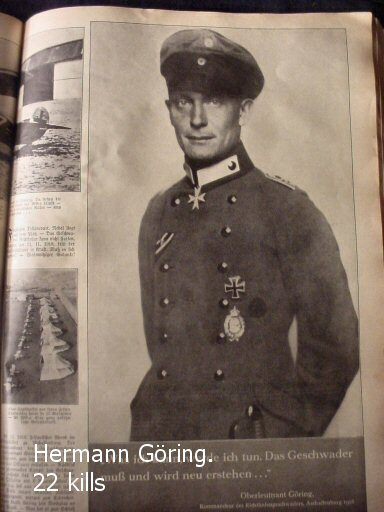 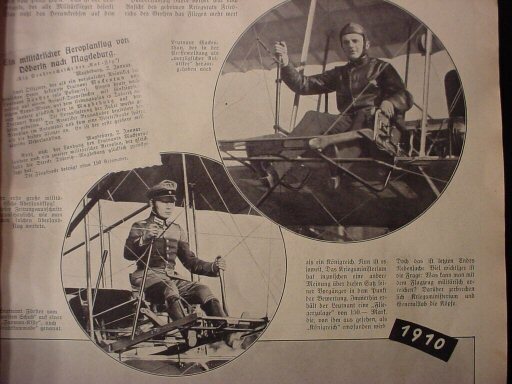 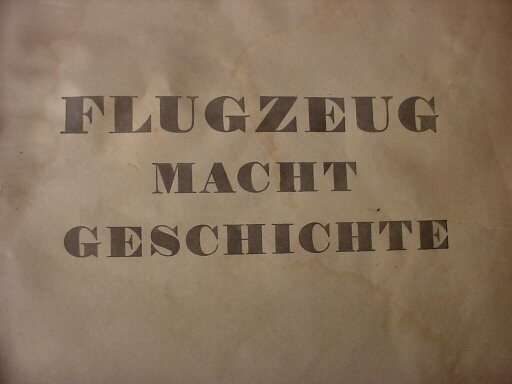 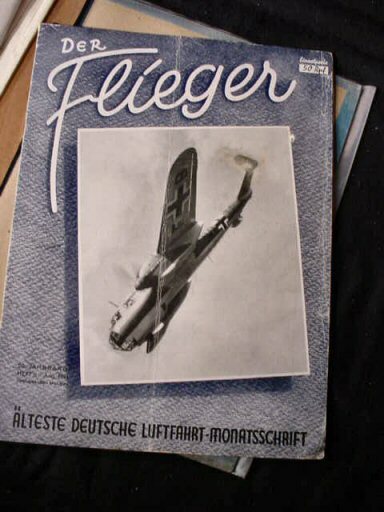 Inside this binder there are several different magazines all having to do with early German flight topics. 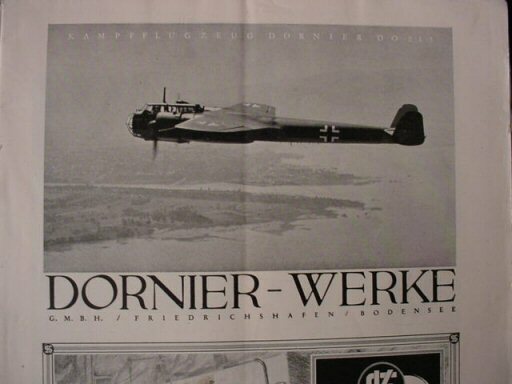 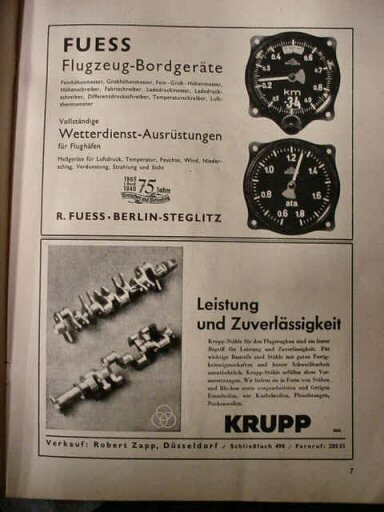 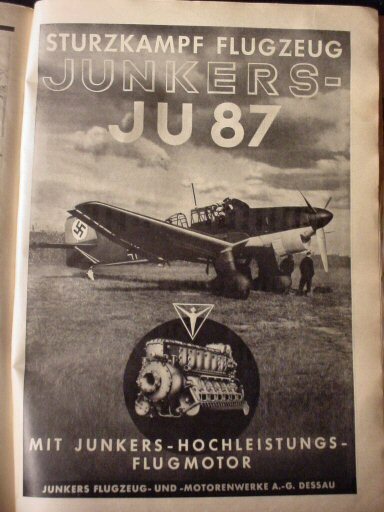 Some of them have great advertisements for various airplane manufacturers such as Heinkel, Dornier, Arado, Junkers, Fiesler, etc. 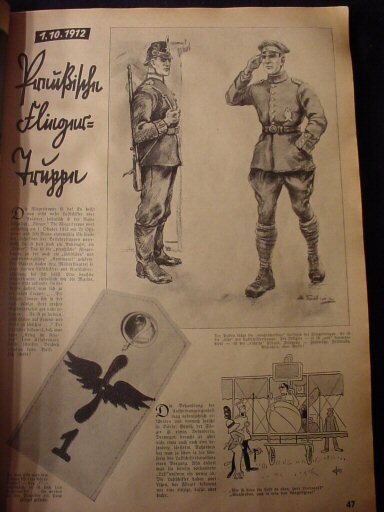 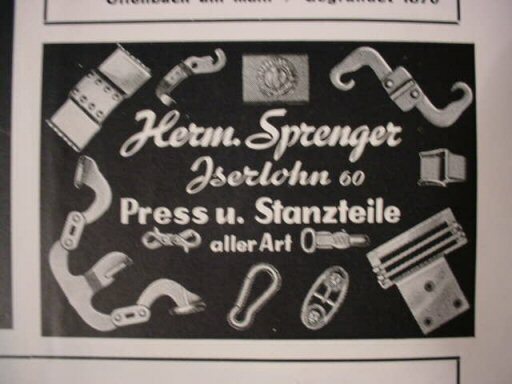 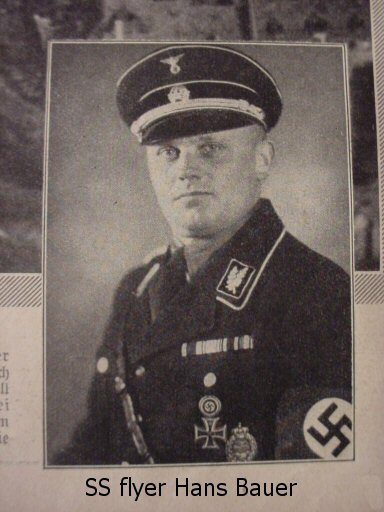 There is also an interesting ad for Herm Sprenger, who, besides making airplane parts, also made uniform accouterments such as belt buckles. 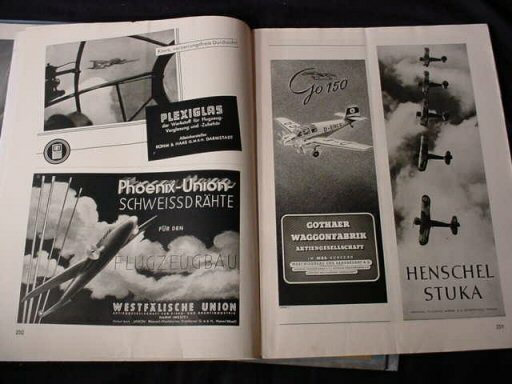 Each magazine is interesting in its own right and all are very historically important to the collector interested in flight.